This summer we travelled to Northern Spain for a two-week holiday—Cué, Picos de Europa, Bilbao, and San Sebastián. After two surf-crazy and food-filled weeks, I unpacked our bags and downloaded 1,019 images into Lightroom. That was June and it’s now August. Those images have been sitting in the “Spain 2015” Lightroom folder on my laptop. Sound familiar? With the end of summer approaching, I need to get cracking and make a book worthy of this great adventure. I work in Lightroom because it offers the flexibility to manage and edit my photographs and provides quick access to Blurb’s book templates via the Book module. Everything is in one place in Lightroom. Which is why Lightroom might be the answer for you too. 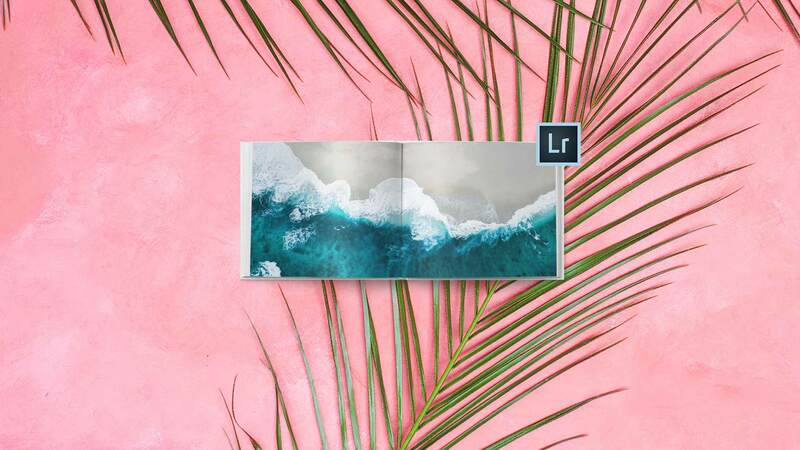 Here are five tips to take advantage of the best Lightroom features and complete and upload your book project quickly and easily. 1. The Ruthless Edit and Collection. After downloading your photos, go through them in the Library module. Reject the photos of your delicious Menu del Dia lunch that were poorly light and 22 of the 24 shots of cows wearing gigantic cow bells that seemed so quaint, and now look, well boring. After you’ve narrowed your choices and culled the very best 50 images, look at them. What do you see? What themes emerge? Have a theme in mind to narrow the image choices further and tag them for a Lightroom Collection. Our trip was about food, surfing, and art, which comes together well in places like Bilbao and San Sebastián and reflects the interests of my husband, our surf-mad son, and me. 2. Library Module. Spend time in the Library module to select and sequence your image collection in the right order to tell your story and then add captions as file names. Doing this work up front will save you time and make the book making process easier. Once I have a general sequence for the book and captions ready, I proceed to the Develop module to complete the adjustments and sharpen the final 30 images in my collection. You will notice that I did not develop the other 989 images. That’s for another day. 3. Book Module. Click the Book module from your collection and your images will automatically import. Make sure you set the Book preferences. This is the place to automatically zoom your photos in the layout and to select in Text options, text boxes to fill with title metadata, so the captions that you set up in the Library module will import. In Book Settings in the upper right hand corner of the interface you can select your book Size, Cover, and Paper Type. This menu will also calculate the price of your book as you work so you know exactly how much your masterpiece will cost. Below the Book Settings you can select your layout page style in Auto Layout. Select your text style in the Text Style Preset. Finally, hit the Clear Layout button and hit the Auto Layout button to follow the new settings in your new layout. Within the Page menu on the right side of the interface, there is a small arrow with a pull down menu that will allow you to modify individual pages. I find this handy if I want to adjust certain pages or change particular image sizes. 4. Cover Selection. I typically pick my cover and back cover images last. After working with and refining the interior layout, I make the final selections. This is my opportunity to tell the story with one image (front cover) and the prologue (back cover). 5. Save and Send Book to Blurb. At the top of the workspace, make sure to click Create Saved Book and save your book within your Collections set. Finally after proofing your book one last time, you’re ready to hit the Send Book to Blurb button at the bottom right hand corner of your workspace. With your Summer 2015 book complete, you can start thinking about your next trip! Learn more about using Lightroom to make photo books here.